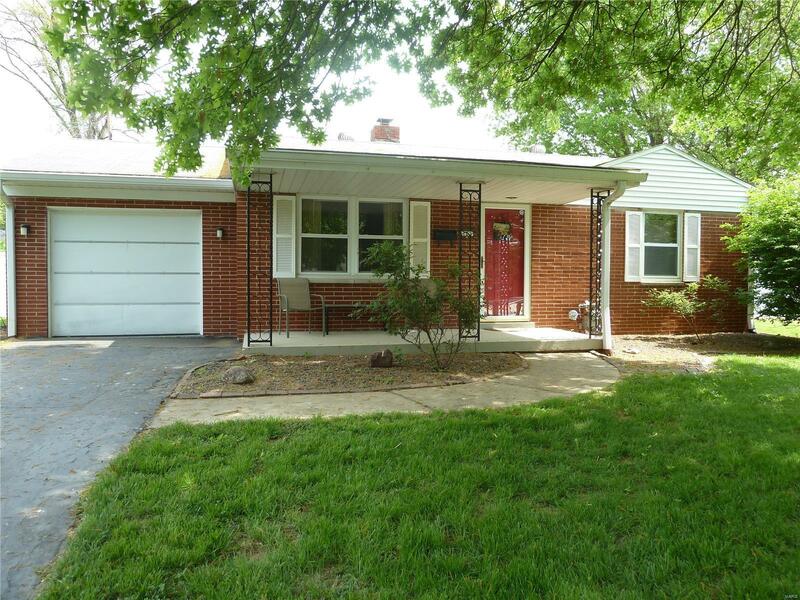 Welcome to this Cute 2Bd/1Bth Brick Ranch! Full Unfinished Basement could be used for a family rm, play rm, work-out rm, man cave etc...a lot of useable space that will provide many options! Nice covered porch awaits your arrival! Living Rm w/Coved Ceiling, & freestanding Fireplace is cozy & comfortable & leads to the large Eat-in Kitchen w/updates...Newer Stainless Steel Appliances, Newer Counter tops, Tile Backsplash, Sink & Faucet! Inviting Kitchen is also accented w/pantry, & nice counter space. Master Bdrm & 2nd bdrm are accented w/plenty of natural light, ceiling fans & window treatments. Bath has newer vanity & tastefully decorated. Large fenced backyard is a great entertainment area w/covered patio & hot tub! 2 sheds are available for all your outside storage. One shed has loft space for additional storage. Large laundry space w/utility sink, & Washer/Dryer stay! Workshop space also available in Basement! Located near restaurants & shopping! Great place to call Home!